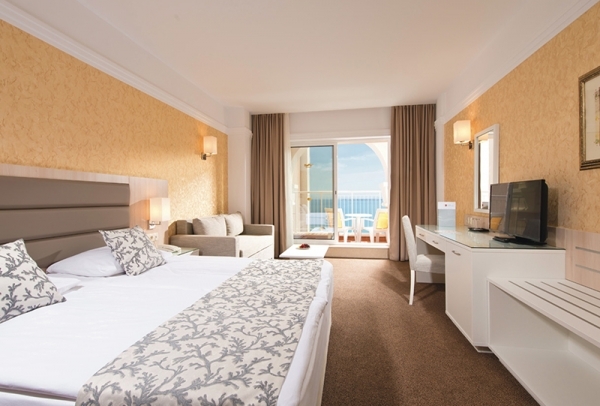 Ideal choice for all those looking for a holiday that combines entertainment and relaxation. 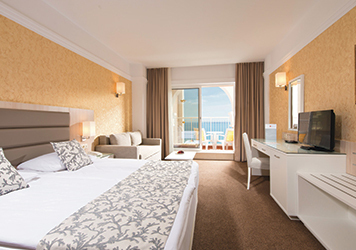 The hotel is situated on the beach, on the Black Sea coast, in a beautiful area. The complex offers its guests numerous services and facilities including a freshwater pool with jacuzzi, a children’s pool and an indoor pool. All of them have free sunbeds and towels. Guests can also make use of the free gym and a paid spa, a sauna, a hairdresser’s salon and a beauty salon and a massage studio. 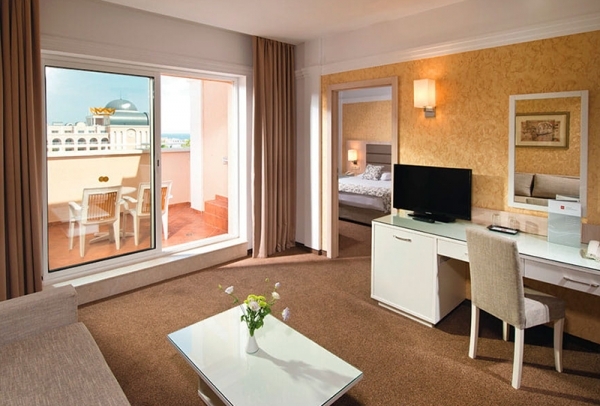 The hotel offers an All Inclusive service on an extraordinary level. Our guests have the opportunity to enjoy our main restaurant, which offers a rich buffet of hot and cold international cuisine, prepared with fresh products or can book a table in one of our thematic restaurants, the choice is between Italian , Asian and Bulgarian cuisine for dinner. At RIU Helios Paradise, families with children as well as couples have a huge choice of entertaining programs for adults and children. In addition to games and sports, our great Aqua park, the numerous pools, the RIUFit activities and the RIUArt activities, contribute to the absence of any boredom. After dinner, our guests can enjoy live music and entertainment at one of the hotel’s bars. 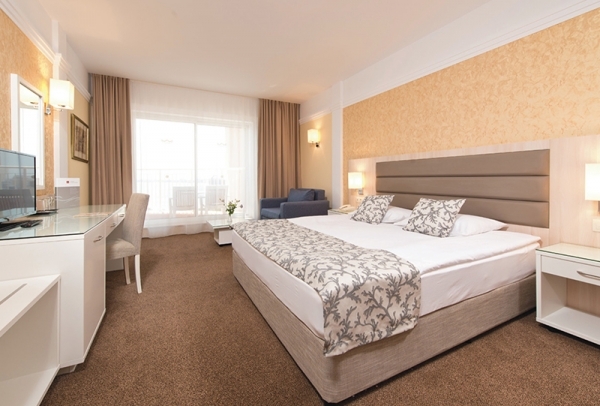 The hotel has 597 rooms in four main categories suitable for any type of accommodation.